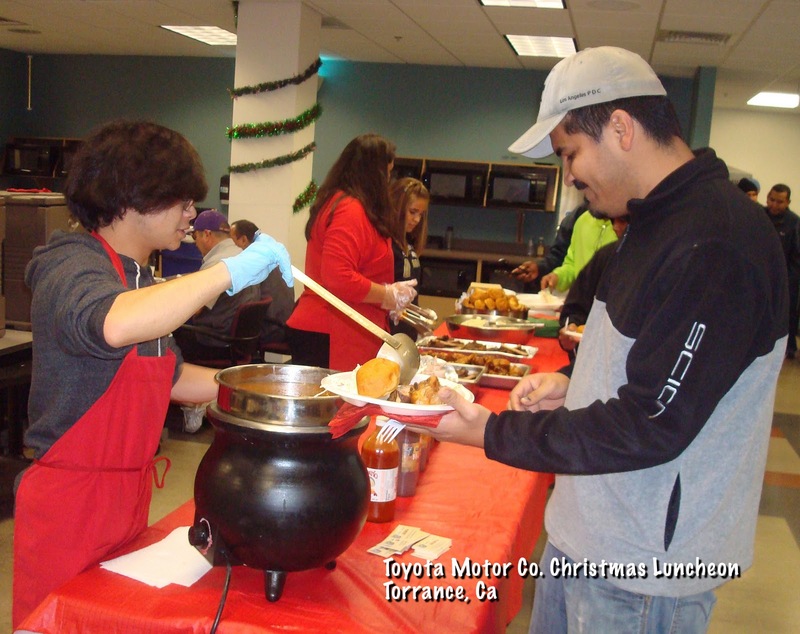 We had a great time at Toyota's Xmas Luncheon on Wednesday. 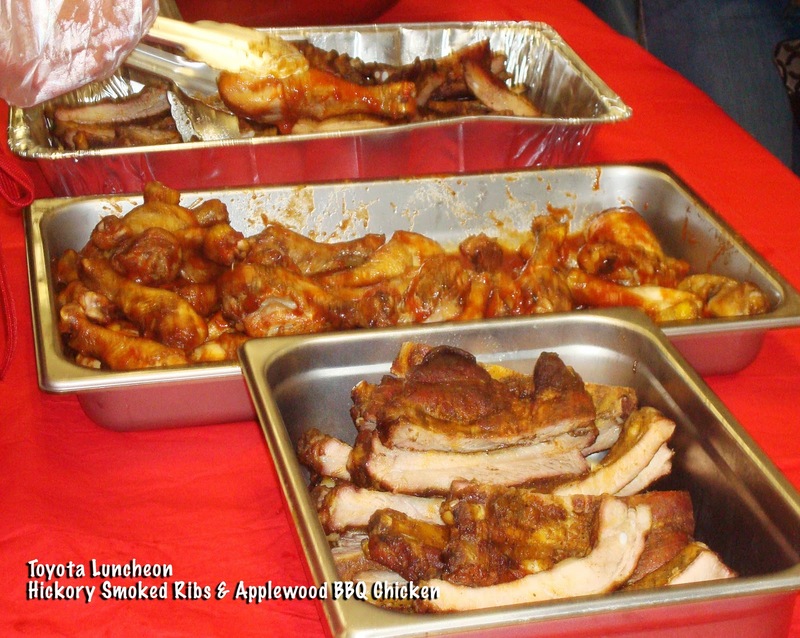 We prepared 400 hickory smoked ribs and 200 applewood bbq'd chickens for 200 employee associates. 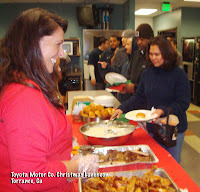 Thanks to Micah, Kathy, Kathy's daughter and Ryan we were able to serve the mass line of hungry workers without flaw. 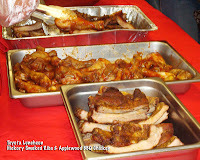 The ribs kept coming and the chickens were flying while I kept the slaw and breadrolls coming. 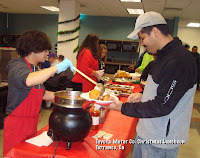 We had many compliments and nothing left over which was a clue that everyone loved it! Hope to get the chance to serve Toyota more bbq favorites in the future. Thanks Micah!